Teamac Marine Undercoat is an interior and exterior, oil based marine undercoat. 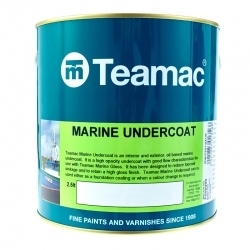 Teamac Marine Undercoat features a high opacity with good flow characteristics for use with Teamac Marine Gloss. 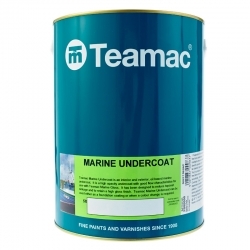 Teamac Marine Undercoat is suitable for wood and grp and has been designed to reduce topcoat sinkage and to retain a high gloss finish. All surfaces should be clean, dry, sound and free from contaminants. Wood should be sanded prior to coating to ensure an adequate "key" is produced. Apply direct to abraded GRP. Existing painted surfaces should be cleaned, degreased and sanded to ensure an adequate "key" is produced. Remove all loose, flaking material and treat bare areas as new substrate then prepare accordingly. *Use Teamac Zinc Phosphate Primer on ferrous metals. 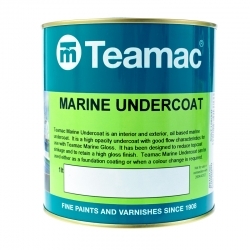 Is Teamac Marine Gloss OK for salt water & is the Teamac Marine Undercoat fine under the water line? Teamac Marine Gloss and Undercoat have good resistance to salt water but should not be used for constant immersion below the waterline. They are suitable for boats that are generally berthed on land. Below the waterline, for boats in the water most of the time our recommendation is Teamac Metaclor Underwater CR Primer and Teamac Chlorvar Chlorinated Rubber Paint, both of which have excellent water resistance. An extremely abrasion and chemical resistant polyester coating with multiple layers of glass flakes incorporated in a highly cross-linked polyester matrix. 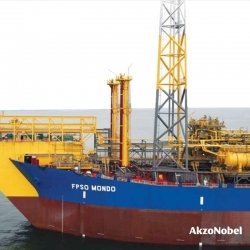 Top Features Ideal for long-term protection in marine environments. Used as a tank lining and for areas exposed to many acids. Recommended for protection of steel. 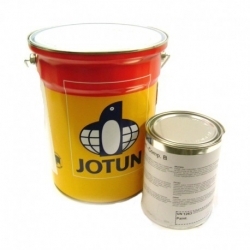 Jotun Vinyguard Silvergrey 88 is a one component physically drying vinyl coating that is fast drying and can be used as primer or mid coat in atmospheric and immersed environments. 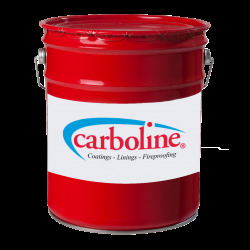 Suitable for properly prepared carbon steel substrates. Recommended for topside, deck and superstructure or as a tie coat for anti-fouling systems in the marine sector. 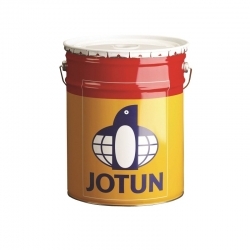 Jotun Safeguard Universal ES is a two component polyamide cured vinyl epoxy based coating. Specially designed as a tie coat between epoxy primers and antifouling systems but can be used as tie coat for a wide range of topcoats. To be used as tie coat in atmospheric and immersed environments. 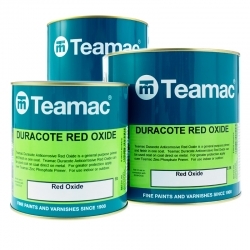 Teamac Duracote Red Oxide Paint is a general purpose primer and finish in one. Teamac Duracote Red Oxide Paint can be used coat on coat direct on to metal and can be used indoors or outdoors and is a very good protector of metals. 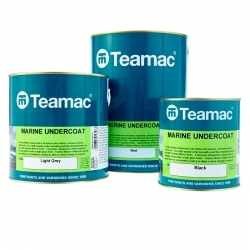 Teamac Metaclor Underwater CR Primer is a multipurpose primer offering good resistance and protection both above and below the waterline on steel and wood. Can be used as an underwater primer on prepared steel or as a sealer coat over most conventional systems. 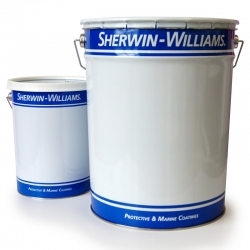 Sherwin-Williams Zinc Clad IV 85% is a two-component, polyamide epoxy, zinc-rich coating. It has a low VOC level and contains 85% by weight of zinc dust pigment in the dried film. Zinc Clad IV 80% by Sherwin-Williams is a two-component, polyamide epoxy, zinc rich coating. It has a low VOC level and contains 80% by weight of zinc dust pigment in its direct film. It meets SSPC Paint Specification #20 for zinc-rich organic primers.